In February 2012, the corner of Dundas and Manchester Streets, (former home of Cycle Trading and Print Stop) became the site of a unique interactive cinematic experience. 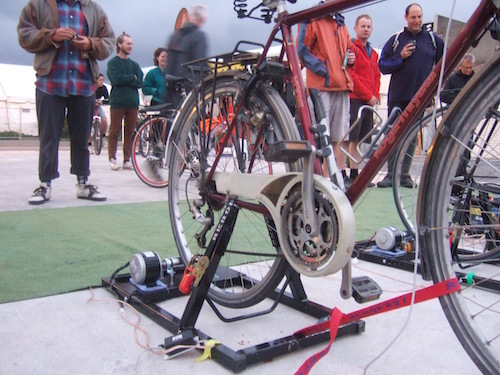 Local engineers designed and built ten special stands so that members of the public could generate power while riding their own bicycles. 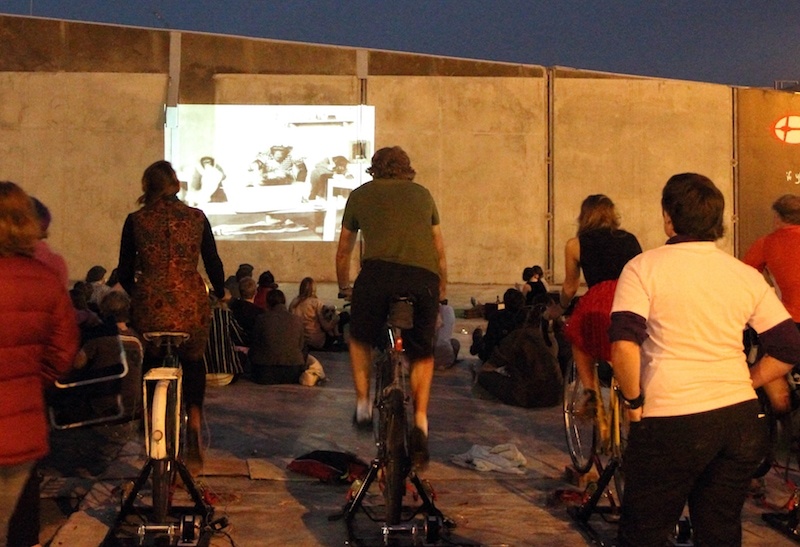 This powered an outdoor cinema which showed a variety of bicycle-themed films across several nights. A series of LEDs strapped onto the cycles’ handlebars indicated when the riders were riding fast enough to charge the battery that ran the projector and sound system. A sequence of lights near the screen indicated whether the team of cyclists was generating enough power at any given moment. For those of you interested in how these units were made, please feel free to download this PDF document by Kerry Mulligan who helped create them. This was a fabulous project and probably would have been good to have run for longer than 2 weeks. It was a lot of work for Gap Filler staff each night to set the cinema up and run the event on top of full days doing other Gap Filler work for future projects. Given the schedule of projects GF ran over the summer, this was unavoidable, really. Each night 5+ volunteers helped out and they were invaluable. The participatory element of the project, in that people could ride in their own bikes and ride on them, was one of the best elements of the project- it was inclusive, fun and funny. 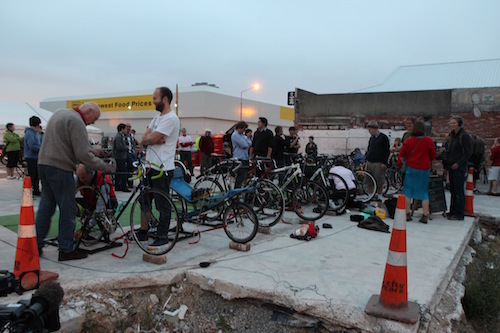 It was well attended by a range of people form cycling enthusiasts, to Gap Filler fans. Kids too. People from the former businesses on each site also attended which was extra nice. Roger Sutton came along twice, cycling to generate power. He was extremely enthusiastic about this project. By the end, we were down to 9 cycle units rather than 10 and many of them had rattles and a few issues so if we were to do it again, we would need to invest in more robust motors. There were a lot of people that found out about this project after the fact and asked if/when we will do it again. That’s a good question! Given that we wish to be innovative and try out new ideas it seems unlikely that we would repeat ourselves. 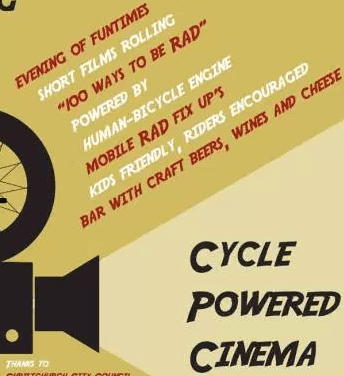 We could foresee that we might do Cycle Powered music or karaoke, so something different. Or, we could give the units away to a community group that may make use of them in the future.